George Dallas Green was born in Newport, Delaware. A 1952 graduate of Conrad High School, his nickname was Spider. After attending the University of Delaware, he was signed by the Phillies as an amateur free agent by scout Jocko Collins. Green (born August 4, 1934) is a former pitcher, manager, and executive in Major League Baseball. After playing for the Philadelphia Phillies and two other teams, he went on to manage the Phillies, the New York Yankees, and the New York Mets, and managed the Phillies when they won their first World Series title in franchise history in 1980. Green had a losing record both as a pitcher and as a manager. Nonetheless, in 1983, he was inducted into the Delaware Sports Museum and Hall of Fame. He achieved notoriety for his blunt manner. Fred Comegys is a native Delawarean and graduated from Conrad High School in 1959 Now 72, Fred began his lifelong career as a photographer at The News Journal as a copy boy. Comegys quickly gravitated toward the photography lab, where he served as an assistant. His first opportunity to get behind the camera occurred when the paper needed a photographer to take a simple mug shot. He has been called a state treasure, and at least one fan described him as Delaware�s Picasso. 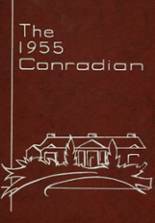 News Journal readers would agree that Comegys has consistently and artfully reflected life in the First State for nearly 50 years, and a shot by him is as recognizable to us as the Rockford Tower or Joe Biden. Fred�s photographs have also appeared in Life, Time, Sports Illustrated, The Sporting News, and Forbes. In 1985, he was named National Newspaper Photographer of the Year by The National Press Photographers Association. That same year, he was one of five finalists for a Pulitzer. The Delaware Art Museum is celebrating Comegys� career with a retrospective exhibition in 2011. Celia K. Burkholder(stage name Celia Kaye)is a former American actress that graduated from Conrad in 1959. In high school, she was already interested in acting as a member of the National Thespian Society and performed in such school plays as Time Out for Ginger and Brigadoon. Her movie and television career spanned 36 years from 1962 thru 1988. Celia's most notable appearance was a starring role as Karana in "Island of the Blue Dolphin". She received the Golden Globe Award for New Star of the Year for that role. In all she appeared in over 7 films and 11 TV shows. Notable TV shows included but not limited to: "The New Loretta Young Show", "Tales of Wells Fargo", "Wagon Train" and "The Adventures of Ozzie and Harriet". Notable movie credits, in addition to "Island of the Blue Dolphin", include: "Wild Seed", "Fluffy" and "Vampire at Midnight". This section is to remember Conrad High Wilmington, DE alumni who have passed away. Even if alumni from Conrad High School have moved away from Wilmington, Delaware, they can use this site to find and contact high school friends. 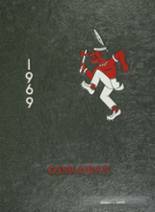 For former Conrad students from DE, you can view the class reunion information that has been posted by other site visitors. 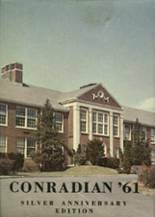 In addition, we encourage you to post your profile in the alumni directory, share information about the school activities you were involved with and reconnect with Conrad High School alumni. If you haven't already, we also encourage you to register for free on this site. You may also want to check out the latest news and school memories.